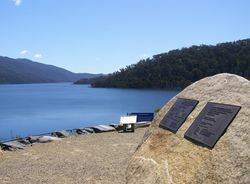 Plaques commemorate the opening of the dam wall and the completion of the dam. 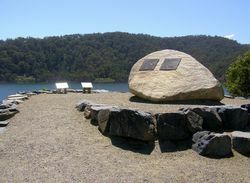 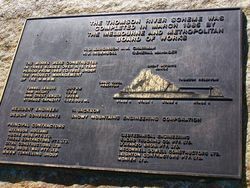 The plaques, set on large granite boulders erected by the Melbourne and Metropolitan Board of Works (now Melbourne Water) to commemorate the completion of the Thomson River Scheme in March 1985, give details and a relief plan of the works, together with the names of the engineer, consultants and principal contractors. 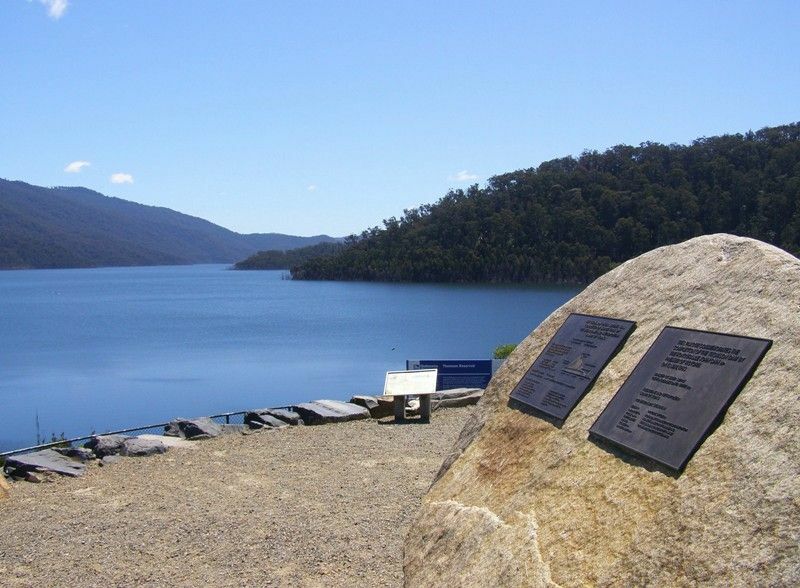 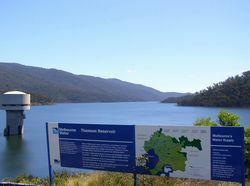 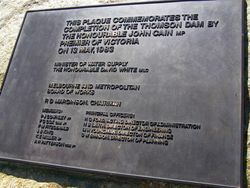 Another plaque notes the completion of the dam, opened by the Premier, John Cain on 13 May 1983, and gives the names of MMBW members and principal officers of the time.